Well! Are you looking for the mouse for your pc? Ok, its time to choose your mouse according to your requirements. I wouldn’t like to make a scene of $5 mouse with $1000 PC, agree? I have picked the top 10 best gaming mouse to buy in 2019. Remember that the gaming mouse and the normal mouse work on the same mechanism and fashion. But there is a difference in both type of mouse because Gaming Mouse provides a better user experience than any other normal mouse. The first gaming mouse comes from SteelSeries, known as Rival 700. 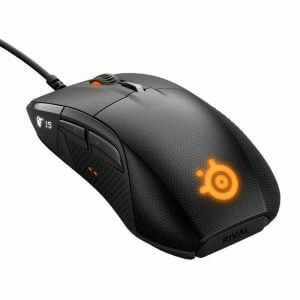 SteelSeries is a famous company in the world of mice. It provides professional gaming mouse with excellent design and new features and has earned the good reputation in the field of technology. Steel 700 (a category of Rival Series) comes with several advanced features. Many people are fans of Steel 700 because of its new advanced features, it can display a variety of different things. Rival 700 has many new features like Industry standard RGB lighting, beautiful modular design, and you can also customize it as you want according to your need. With advantages, we also found few disadvantages here. No left-handed option available in it, modules are a bit expensive. Finally, Asus (Mouse Providing Company) has announced and released their new mouse known as Spatha. Spatha is great for gaming and it is the best MMO gaming mouse. Spatha has many new features that are included on in this mouse with the latest technology. Do you know? The Spatha is top in the field of the mouse, you can buy this mouse. It has many advanced features like extra buttons, RGB effects that open your ROG branded products like graphics cards, motherboards, and also the keyboard by Asus. Now we are going to discuss the features and all the specs/detail of Spatha. Before this, you need to know that it opens a new window in your gaming life. It has a lot of advanced features and many buttons that help you in using. On the other hand, Spatha has a good user experience. For those who are in the gaming world, this is a beautiful gift for them. It has enabled Wired/Wireless connectivity that is awesome for any gaming mouse. Also has optical sensors, and its weight is 175g (grams). Available in more than 1 design. Here the next mouse from our list comes and known as Razer Ouroboros. Ouroboros is the mouse provided by the Razer (The Best Mouse Providing Company). There is no doubt that Razer is the best company in the market in the field of the mouse. It provides simple and good mice for gaming and for other purposes. This was a simple intro of Razer Ouroboros, now we come to the detail. 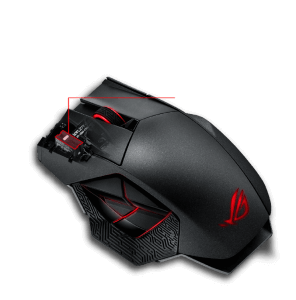 In the above we read about Asus Spatha, the Razer Ouroboros may be fully alternative to Asus Saptha. How? Let’s read now! Razer Ouroboros has not wireless/wired connectivity, not improving the high-quality design and some other things (RGB Lighting etc.) that are not found in Ouroboros but available in Asus Spatha. Razer is the famous mouse providing company in the market, which can really impress you with their products. So, the result is that Razer Ouroboros is alternative to the Asus Spatha. Don’t confuse in selecting the mouse, Razer is one of best mouse company. Ouroboros has many new and advanced features with the advanced technology. You can easily remove or add any part of Ouroboros mouse, a good weight mouse with 11 programmable (Designed and Optimized) buttons and sensors. A well designed Ouroboros mouse is now available in the market. There are many mice on the market, some of them work perfectly which some are not working perfectly. Ouroboros is well for games, you can easily customize it and it’s easy to use. Razer Ouroboros has no wireless/wired connectivity. It has 115g (grams) weight and 100Hz ultrapolling and also a beautiful design. The next mouse comes with the name of Chaos Spectrum. It has many new and advanced features with the latest technology. Logitech is a good company in the computer field, it does not only provide the mouse, it also provides keyboards, speakers, headphones etc. to satisfy its users. Logitech is one of the best mouse providing company which is releasing new modules of the mouse with advanced technology. Don’t forget that the Chaos Spectrum is almost the same as the Asus Spatha. Both mice have almost good features that are awesome for the gamers. Each company brings the latest mouse with advanced features that satisfy its users. Chaos Spectrum is not bad, it has a lot of new features as we found in Asus Spatha. Its 11 programmable buttons increase its popularity. You can easily customize it according to your demand, almost good performance in the gaming world. Some bad things that its price is high and the charging dock is not available. Chaos Spectrum has 107g (grams) weight and 11 programmable buttons (Designed & Optimized). Resolution (200 – 12,000 dpi) and its design have a good effect on the user. Chaos spectrum detail, specs, features, and reviews are done, now its time to go on the next mouse from the list. 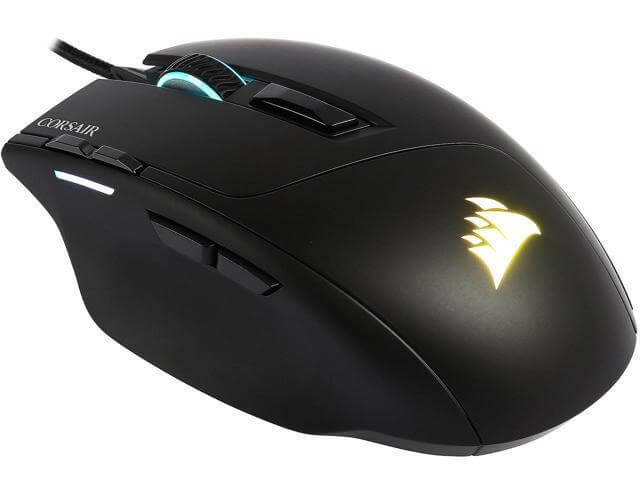 Corsair is another mouse providing company that is really awesome for the gamers. On the other hand, its also provide RAM and other computer parts that increase its popularity. M65 pro RGB is a good mouse in the gaming world that has many new features. It is awesome for those who are in FPS Gaming world, because of its best for FPS Games. Do you know? M65 pro RGB is one of the best mouse available in the market at different prices. It’s time to make a look at M65 pro RGB and its specs and features. For those who play FPS Games, its best for them. No doubt it has many new features with the advanced technology. It has many features like 8 Programmable buttons (Optimized & Designed), Easily customizable, FPS Gaming Mouse and quick start guide and many other features. Many people are the fans of Corsair because of its product. Now we will on the next step on its detail and features and reviews. This is the second Logitech mouse from our list. It means Logitech is one of the best company in the market. 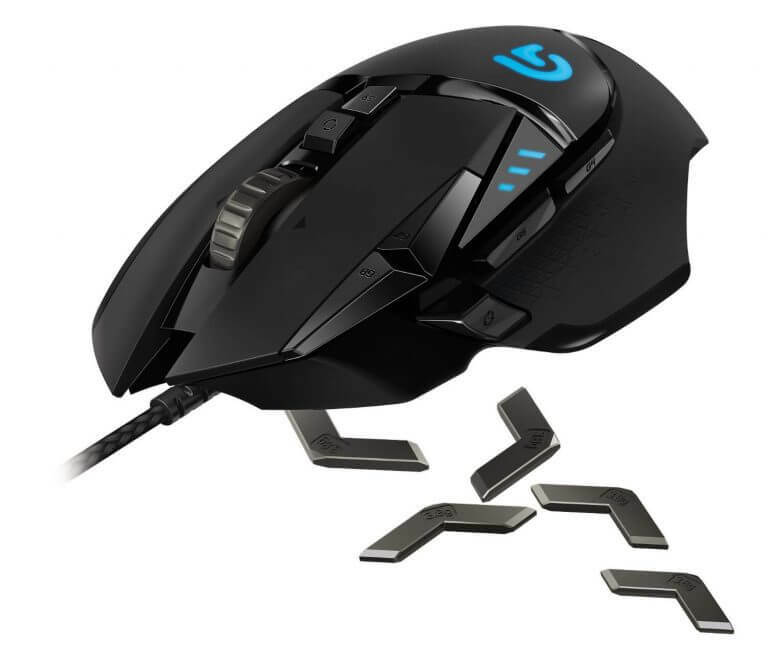 Logitech G502 comes with a lot of features that allow users to play games without any problem. 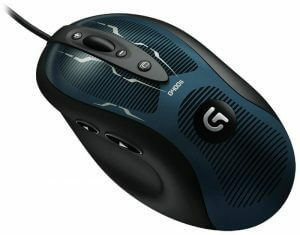 Logitech G502 is the best mouse that increases the popularity of Logitech. There are many features in the Logitech G502, 11 programmable buttons (Designed & Optimized) are available. Excellent tracking and sensitivity included in G502. Almost a good price in the market according to its performance. Gorgeous looking design and DPI options are also available in it. Easily customizable options are available but it is not for the left-handers. The Razer is back, its second product of Razer on our list. 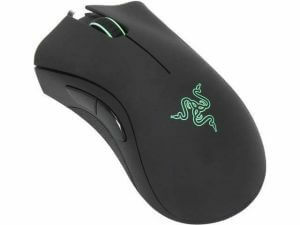 Razer is good mouse providing company and has demand in mouse industry. It’s actually the second excellent mouse of Razer company with all detail. The Razer company providing the best mouse for gaming to its users. It released another mouse known as DeathAdder Chroma. Which allow users to customize it and provide the best performance. Razer has improved and provided a new product (DeathAdder Chroma), which is easy to use and has easily customizable options. You can control all the functions of DeathAdder Chroma easily through the best Razer Synapse 2.0. 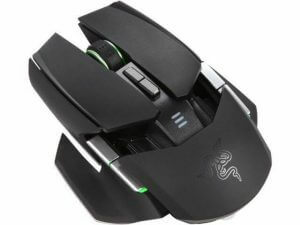 According to our experts, Razer will become a top mouse providing company if it will maintain its new products system. Razer added new functions to DeathAdder Chroma and improved the other functions found in last product of Razer. Corsair is a mouse providing company which is famous in the mouse industry. Corsair Scimitar RGB is one of the best mice in the gaming world. Its 17 programmable buttons are most famous, they are awesome for its users. There is no doubt that it has most 17 buttons that are not available in any normal mouse. So, Corsair has launched and released this awesome mouse to satisfy its users and now almost every user is satisfied with this module. The last Corsair mouse M65 Pro was released for FPS games and now the latest Corsair Scimitar is made for the MMO/MOBA community. 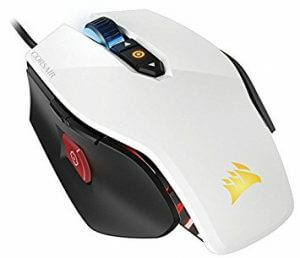 M65 Pro was mainly released for FPS games (It was focused on FPS Games) and the focus of Corsair Scimitar was on MMO/MOBA community. Almost both mice are awesome in the gaming world, they have a lot of features to satisfy its users. Let’s comes on Scimitar RGB, it has 17 awesome programmable (Designed & Optimized) buttons which increase its value. 12 of them are sitting on the left sidebar of the mouse and are mechanical. Its 12 buttons are awesome which are added to the left sidebar. These buttons increase its demand in the market. Do you know? The Pixart sensor offers brilliant tracking to its users and the top of the line build quality. The 17 programmable buttons are designed for MMO/MOBA gamers. No doubt the mouse is awesome for gaming users, but there are some negative things are also in my mind. That the thumb buttons are not beneficial for those who don’t want to use them and this mouse can be hefty for some users. Wow! It’s another amazing Razer Mouse which is basically created for MOBA Games. 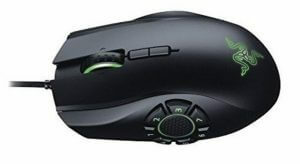 It is the third Razer mouse from our list which is known as Naga Hex V2. In Nage Hex V2, we found many new features and checked its performance. Don’t forget and keep in your mind that this mouse is only built for MOBA Games. You can not use this mouse with any other type of game except MOBA games. Razer has gone to the record by adding the awesome features in mice for experienced users. That’s why it is famous in the market. Many MOBA Gamers are using Naga Hex V2 and there is almost no problem in this mouse. The round buttons on the left sidebar increase its value and design quality. The sticker on its backside is awesome. 7 buttons are available in the wheel on the left sidebar and the total 14 MOBA buttons which are optimized and designed. The thumb grip is rubberized which is best for small handers and have a good effect on our fingers. You should keep in your mind that there are several good things in Naga Hex V2 but also bad things that are hidden behind the company name. Finally, it’s our last product from the list and comes from Corsair again with beautiful design and good features. This latest module from Corsair is known as Sabre RGB. 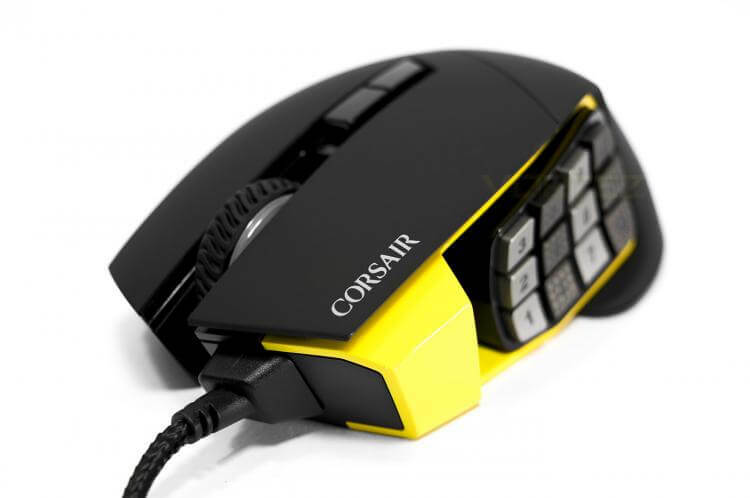 You must know that Corsair Sabre RGB is as a younger brother of the Corsair M65 Pro RGB. Sabre RGB is the downgrade of Corsair, many people are feeling worried about that type of downgrade. You shouldn’t pay attention to this, because of many reasons. So, come to the point, the Corsair Sabre RGB has a beautiful design and high-quality features with advanced features. You will get the top of the excellent sensors of the line DPI, and it is easy to use gliding. Programmable buttons can be easily customized, you can customize them according to your demand. Its weight is 100g (grams) and really easy to use. You should know that our top 10 list of mice is based on us, not you. You need to choose mouse which you like, it depends on you, not on us. We just help you to understand better about a gaming mouse. Let’s go and know whats good for you. Every day a new gaming mouse is coming up with new big brands. Every company releasing new gaming mice with new concepts and products. Some big name in mouse industry is Logitech, Razar and more. 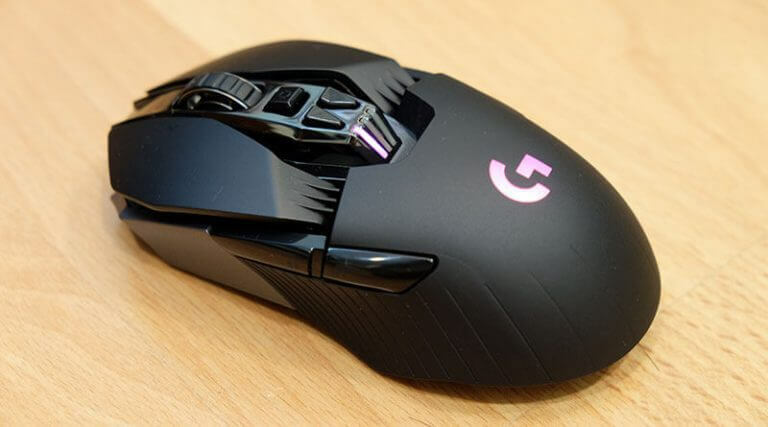 The products from these companies making a list of the best mouse for gaming 2019. Now it depends on you that from which company you buy the mouse for your pc or laptop. Really awesome information. Thanks for sharing.